So much has been said about the current predicament of the national football team and the FA of Malaysia. Indeed, football in the country is at its lowest ebb. And many questions remain unanswered as FAM struggle to stay on track. Several issues have surfaced in the most surprising manner and one cannot help but wonder what the real agenda is behind all these controversies. Yes, if something is not right with Malaysian football, it must be addressed and corrected. But there is a proper channel to deal with such things. What is the point of going on a witch hunt or looking for scapegoats? If there are signs of wrongdoing, change the present administration or do something to better the state of football in the country. But let it be done through the right processes. Washing dirty linen in public, especially when it is unverified, is of no help to anyone or the game. In this context, there is still no clarity about the retirement of national players Safiq Rahim (captain), Aidil Zafuan Radzak, S. Kunalan and Amirulhadi Zainal. True, it is the prerogative of these players to retire but the manner in which their retirement was announced does not portray them as true professionals. · Why didn't the players send their official resignation letters to FAM through their respective clubs, and why did they choose to make their decisions known through social media? · Why did they decide to retire after the Oceania tour and not decline the national call-up for the tour and make their retirement plan known then? · Why did they waste public funds by going on the tour and then announce their retirement? · Since when did players become such experts in training methods that they dared to question national coach Datuk Ong Kim Swee's credibility? · Were the players sincere about serving the nation or did they just take it for a ride? As mentioned earlier, it is the players’ right to retire but the national coach should not even think of taking them back if they changed their minds. Is Malaysia so deprived of talent that it cannot go forward without the infamous four? Maybe the departure of the four players is actually a blessing in disguise for FAM. Now, it can finally decide on long-term plans and start working with a young team. On too many occasions, the national body has come up with short-gap measures or has been in denial mode, still believing that the national team can perform a miracle when they are scrapping the barrel and Malaysian football is in the pits. I can understand Santokh’s sentiment that Malaysian football should just forget about the four players and move on because he comes from an era (1970s and 1980s) when Malaysia had an abundance of talent. Malaysia had a national team and a ‘B’ team in place and any time a player decided to retire or was forced out because of injuries, there were ‘ready-made’ replacements. In fact, the competition for a place on the national team was so intense that the coaches had a hard time naming their final squad. In fact, very little separated the players in training, normally about 30 of them at any one time. At state level, it was not uncommon to see national players sitting on the bench as there were so many quality players available and battling for a place in the first XI. Another household name, Datuk Soh Chin Aun, said: “Players must have the desire to play for the nation. The moment they say they want to quit, it is pointless to try and change their mind or hope that they will return. As far as FAM are concerned, the sooner they make way for new faces, the better for Malaysian football. But it must said that managing FAM is not as easy as managing a club or state FA. The national body has 16 affiliates, which actually are the governors of the game because all their decisions are collective and consensual. They have to take part of the blame for the ills of Malaysian football. Take their decision to have foreign players in the league and increase the number of them from year to year. Like it or not, there is a dearth of quality players in the national team because the foreigners occupy key positions in the state teams, like defenders, midfielders and strikers. So come Sept 15, when FAM hold their congress meeting, everyone who is passionate about Malaysian football should speak up without fear or favour and state the changes they are clamouring for. They should make themselves heard and strive to make a difference. On their part, FAM members should be prepared to listen and be corrected if they are wrong. Let’s move forward for the sake of Malaysian football, which is still alive and well among the fans! 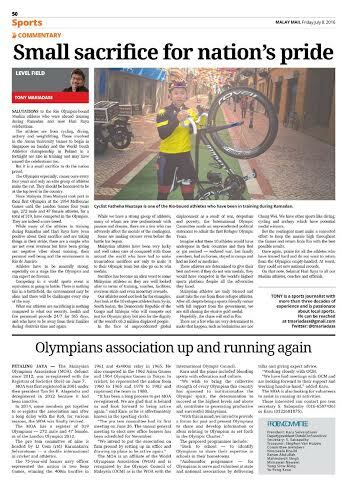 PASSION, compassion, commitment, ability, reducing costs, leaving a legacy, giving Para athletes a platform to be equals and all other reasoning failed to convince the SEA Games Federation (SEAGF) Council to agree to Malaysian Sea Games Organising Committee’s (MASOC) proposal to organise the 29th Sea Games and the 9th Asean Para Games jointly next year. Even Sports Minister Khairy Jamaluddin’s passionate and sincere plea with all his well-presented reasoning in a final attempt yesterday morning at the SEAGF Council meeting, failed to reverse an earlier decision on Wednesday afternoon by the SEAGF executive committee meeting decision of a 10-1 vote against the joint hosting of the Games. To Khairy’s credit, he was very passionate in his presentation and his plea drew admiration from the delegates but when it came to voting again for a final decision, the SEAGF Council voted 9-2 to see the SEA Games hosted separately. It was indeed a noble idea to have both Games hosted simultaneously for the first time ever, but the SEAGF members were united in their stand that they were not prepared to share their identity with the Para Games. Afterall, the SEAGF is 58 years old and after 28 Games, they were not prepared to share their platform with Asean Para Games who will be hosting their ninth edition. The Para Games has been traditionally held after the SEA Games and besides both Games are governed by separate bodies. 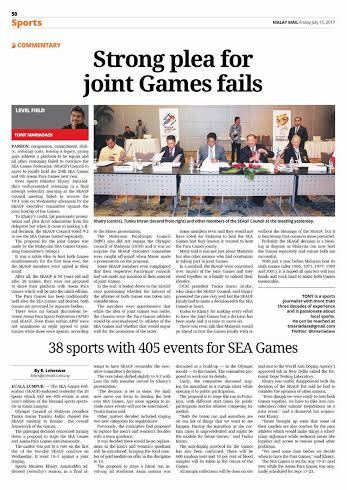 There was no formal discussions held between Asean Para Sports Federation (APSF) with SEAGF and even a consensus within the APSF was not unanimous to host a joint Games, as eight agreed and three did not according to the MASOC presentation. The Malaysian Paralympic Council (MPC) also did not engage the Olympic Council of Malaysia (OCM) and it was no surprise that the SEAGF executive committee were caught off guard when MASOC made a presentation for a joint Games. Some SEAGF members even complained that their respective Paralympic Councils in their country too had too not made any mention of their interest of a joint Games. But in the end, it boiled down to SEAGF Exco questioning whether the interest of the athletes of both Games was sought. 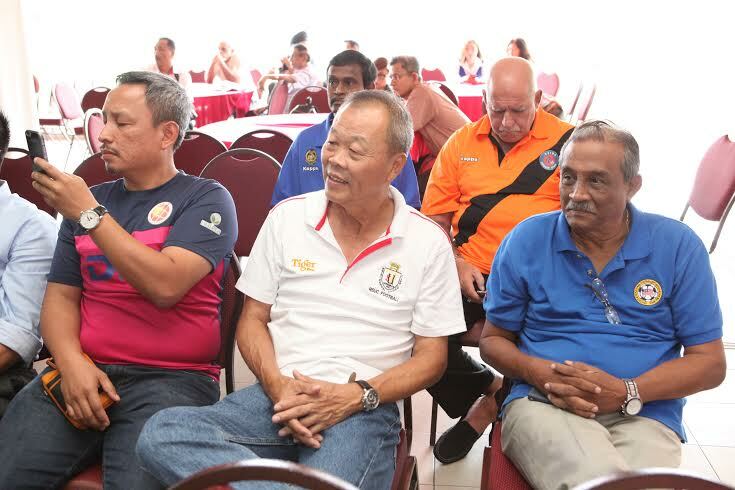 The members expressed their apprehension that while the idea of joint Games was noble, the chances were that the Para Games athletes will be overshadowed by athletes of the SEA Games and would that augur well for the promotion of the latter. Some members even had said that they gave their vote for Malaysia to host the Sea Games and if they had known then that Malaysia wanted to host the Paralympics together, they would not have given the nod. Many said that it was not just about Malaysia but also the other nations who had several constraints over a joint Games. In a nutshell, the SEAGF were concerned on impact of the joint Games and they stood together as a family to uphold their identity. OCM president, Tunku Tan Sri Imran Tuanku Ja'afar’ who chaired the SEAGF Council said Khairy did very well to present the case but the SEAGF family as much as they were impressed and noted his passion, they had to make a decision with the SEA Games at heart. Kudos for Khairy for making every effort to have the joint Games and standing in front of the SEAGF Council to make the plea, but a decision has been made and it is time to move on. There were even news surfacing that Malaysia will go ahead to host the Games jointly with or without the blessing of the SEAGF, but it is heartening that common sense prevailed. Probably the SEAGF decision is a blessing in disguise as Malaysia now host both the Games separately and make not one Game a huge success but both. With just a year before Malaysia host sixth Games (after 1965, 1971, 1977, 1989 and 2001), after 16 years, it is hoped that all quarters now join hands and work hard to make a memorable affair for both Games. 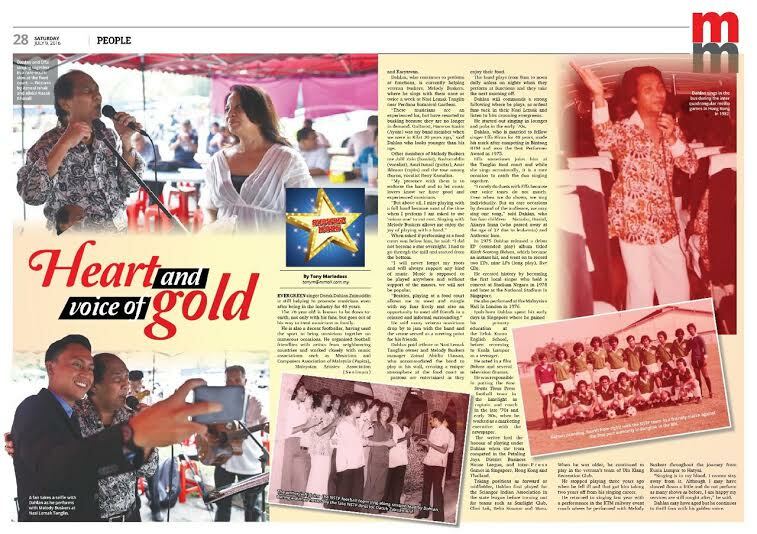 EVERGREEN singer Datuk Dahlan Zainuddin is still helping to promote musicians even being in the industry 40 years. 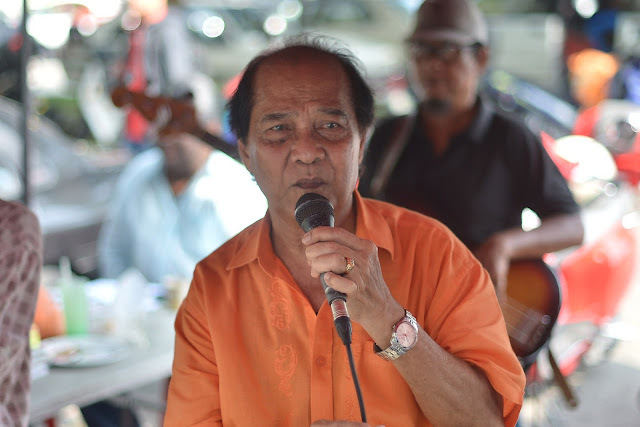 The 76-year-old Dahlan has always been known to be down-to-earth artiste who is not only friendly with his fans, but has always went out of his way to keep the musicians as a family. Dahlan a good footballer, has used the sport to bring the musicians together on numerous occasions by organising football friendlies with artistes from neighbouring countries and has worked very closely with musicians associations like Papita, Seniman and Karyawan for many events. 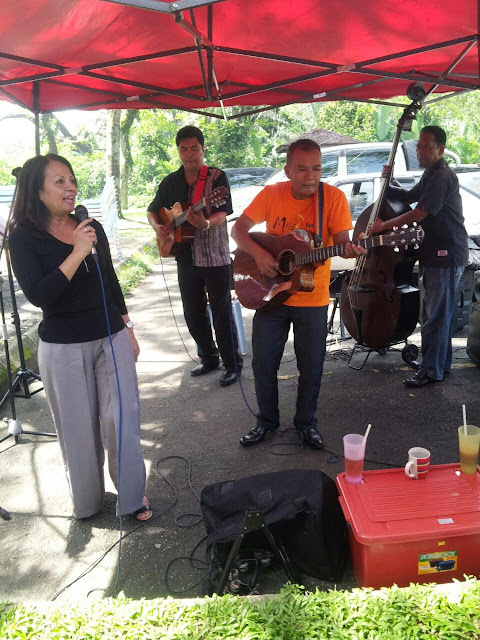 Dahlan who continues to perform at functions, is currently helping a veteran group of buskers, Melody Buskers – where he sings with them once or twice a week at the Nasi Lemak Tanglin at the Tanglin Community Food court near Lake Gardens. “These buskers are an experienced lot, but have resorted to busking because they are no longer in demand. 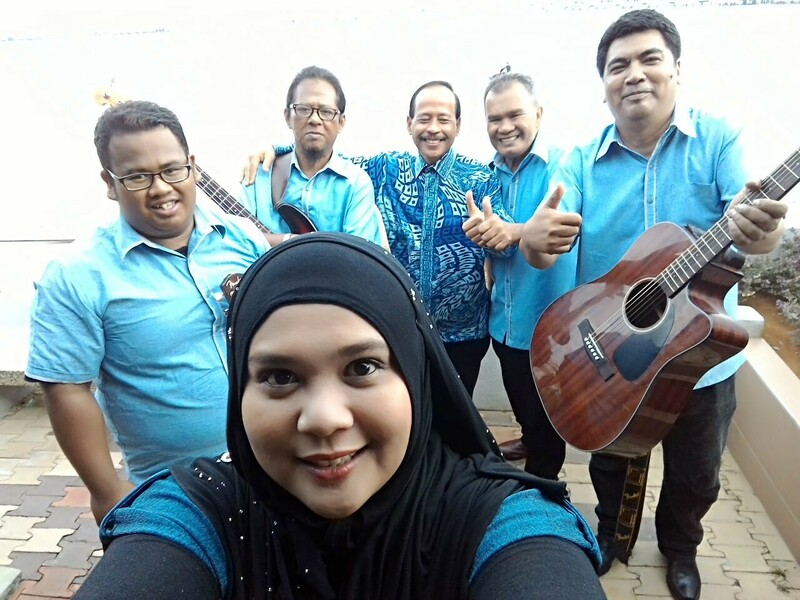 The guitarist, Hamron Kasim (Ayom) was my band member when I used the Kilat band 30 years ago,” said Dahlan who looks much younger than his age. The other member of the Melody Buskers are Jalil Zain (bassist), Basharuddin (vocalist), Amri Ismail (guitar), Amir Ikhwan (cajon) and the rose among the thorns, vocalist Reny Kamalisa. “My presence with them is to endorse the band and that to tell music lovers that we have good buskers who are experienced. When asked if he was degrading himself by playing at a food court, Dahlan simply said:” I did not become a star overnight. I had to go through the mill and start from the bottom. I will never forget my roots and will always support any kind of music and played anywhere. Music is supposed to be played anywhere and without the support of the masses, we will not be popular. Dahlan said many veteran musicians drop by to jam with the band and the venue also serves as a meeting point for his friends. 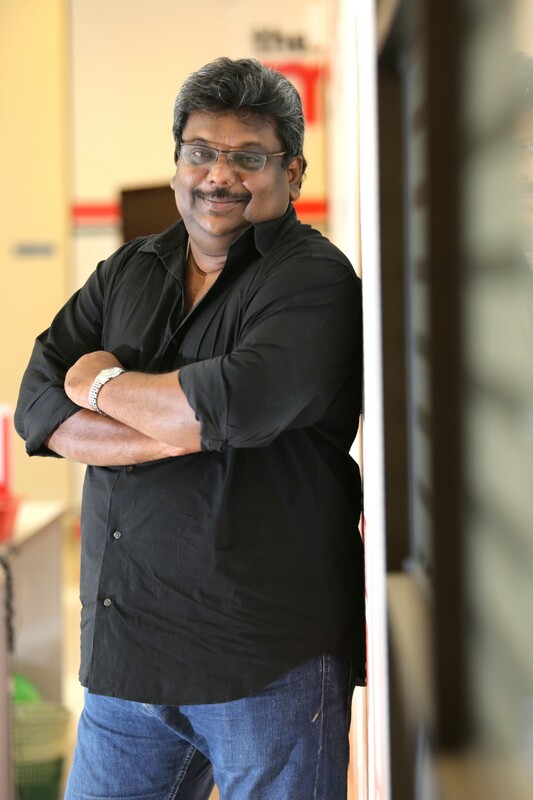 Dahlan paid tribute to Nasi Lemak Tanglin owner Zainal Abidin Hassan who is also the manager of Melody Buskers who accommodated the band to play at his stall and has created an atmosphere for the food court as patrons are entertained as they enjoy their food. The band plays from 8am to 12 noon daily unless on nights when they perform at functions, when they take the next morning off. 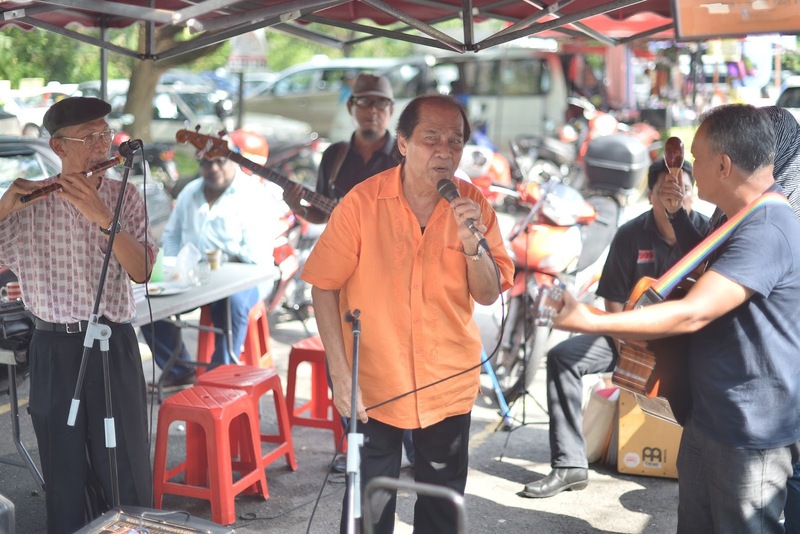 Dahlan still commands a strong following where he has is ardent fans without fail having their Nasi Lemak and listening to him croon his evergreen songs. He has indeed come a long way since starting to sing as a lounge and pub singer in the early 70s. Dahlan, who is married to fellow singer Effa Rizan – his wife for 40 years – made his mark after competing in the Bintang RTM and won the Best Performer Award in 1975. 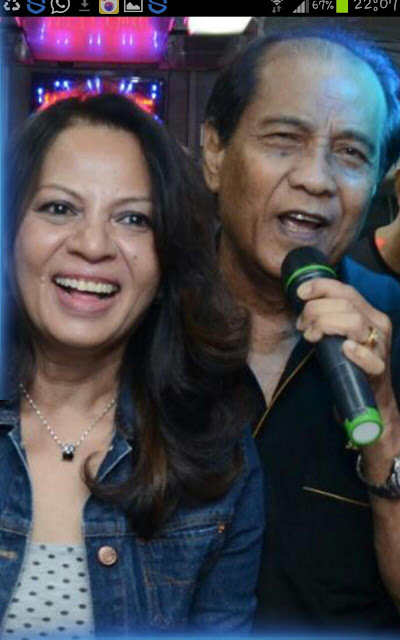 Effa sometimes joins Dahlan at the Tanglin Food court and while she sings occasionally, but in rare occasions one can catch Dahlan doing a duet with his wife. “I rarely do duets with Effa because our voice tones do not match.Even when we do shows, we sing individually. But on rare occasions by demand of the audience, we may sing one song,” said Dahlan who has four children – Natasha, Danial, Akasya Iman (passed away at the age of 12 because of leukemia) and Anthenic Ines. 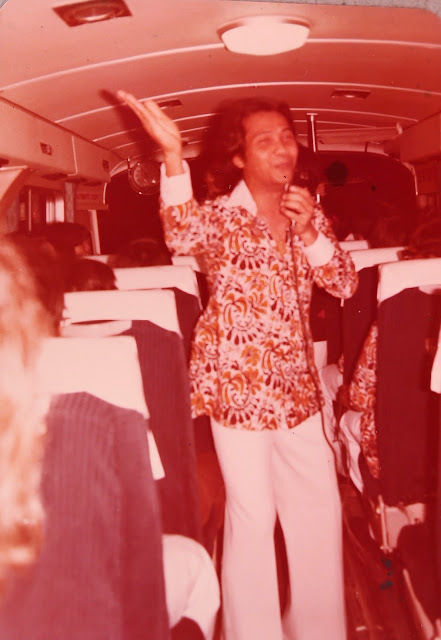 In 1975 Dahlan also released his debut EP (extended play) album titled ‘Kisah Seorang BIduan’ which was an instant hit and went on to record two EPs, nine LPs (long Play), five CDs. Dahlan also created history by becoming the first local singer who had the opportunity to hold a concert at the Stadium Negara in 1978 and also performed at the National Stadium in Singapore. Dahlan also had performed at the Malaysian Hall in London in 1976. 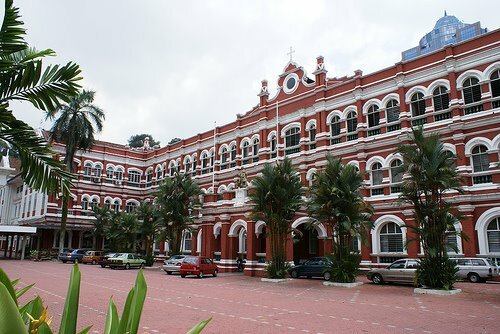 Dahlan, Ipoh born spent his early days in Singapore where he had his primary education at the Telok Kurau English School, before returning to Kuala Lumpur as a teenager. The multi-talented Dahlan also was an actor acting in the movie as his debut album ‘Biduan’ and acted in television dramas too. 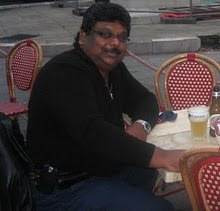 Football was in Dahlan’s blood and was responsible of putting the New Straits Times football team in the limelight as captain and coach of the team in the late 70s and early 80s, when he was working as a marketing executive with the newspaper. The scribe had the honour of playing under Dahlan when the team competed in the Petaling Jaya District Business House League, Inter-Press Games in Singapore, Hong Kong and Thailand. Dahlan’s who plays as a forward or midfield, first played for Selangor Indian Association (SIA) in the Selangor league before turning out for teams like Starlight Club, Chui Lok, Belia Sinaran and Mara and even when he was older, he continued to play in the veteran’s team of Ulu Kelang Recreation Club (UKRC). He only stopped playing three years ago when he was not well and even laid off from singing for two years. But he returned to singing last year with a performance in the KTM railway event coach to Hadyai where he performed together with Melody Buskers throughout the journey from Kuala Lumpur to Hadyai. “Singing is in my blood. I cannot stay away from it. Although I may have slowed down a little and do not perform as many shows, I am happy that my services are still sought and invited to perform for functions. Dahlan may have aged but he still stays relevant and continues to thrill his fans with his golden voice. Salutations to the Rio Olympics-bound Muslim athletes who were abroad training for the greatest sports event in the world during the Ramadan month and now during the Hari Raya celebrations. The athletes who are away are from cycling, diving, archery and weightlifting. The athletes who are involved in the Asean University Games to begin in Singapore on Sunday and the World Youth Athletics championship in Poland in a fortnight’s time are also in training and may have missed the celebrations too. But it is a small sacrifice to make to do the nation proud. The Olympics, especially, comes once every four years and only an elite group of athletes make the cut. They should be honoured to be at this top level in the country. Since Malaysia (then Malaya) took part in their first Olympics at the 1954 Melbourne Games until the last London Games four years ago, we have had 272 male and 47 female athletes, for a total of 319 Olympians, compete in the Games. They are indeed a rare breed. While many of the athletes in training during Ramadan and the celebrations have been positive about their sacrifice and are taking things in their stride, there are a couple who are not even overseas but have been giving out negative vibes about training, their personal well-being and the environment in Rio de Janeiro. Athletes have to be mentally strong, especially on a stage like the Olympics and can expect no favours. Competing in a world sports event is equivalent to going to battle. 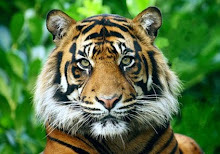 There is nothing fair in a battlefield, the environment may be alien and there will be challenges very step of the way. What our athletes are sacrificing is nothing compared to what our security, health and fire personnel provide 24/7 for 365 days, and who have to be away from their families during the festivities time and again. While we have a strong group of athletes, many of whom are true professionals with passion and dreams, there are a few who can adversely affect the morale of the contingent. Some are even making excuses for themselves even before the battle has begun. Malaysian athletes have been very lucky and well taken off compared with those around the world who have had to make tremendous sacrifices not only to make it to their Olympic team but also go on to win medals. 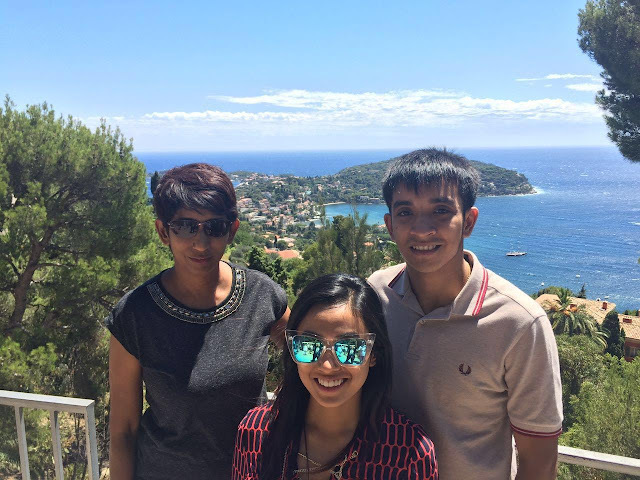 Sacrifice has become an alien word to some Malaysian athletes as they are well looked after in terms of training, coaches, facilities, overseas stints and even monetary rewards. Our athletes need not look far for examples. Just look at the 10 refugee athletes from Syria, South Sudan, the Democratic Republic of the Congo and Ethiopia who will compete not just for Olympic glory but also for the dignity of the world’s 65.3 million displaced people. In the face of unprecedented global displacement as a result of war, despotism and poverty, the International Olympic Committee (IOC) made an unprecedented political statement to admit the first Refugee Olympic Team. Imagine what these 10 athletes would have undergone in their countries and then fled or got rescued – endured war, lost family members, had no homes, stayed in camps and had no food or medicine. These athletes are determined to give their best and even if they do not win medals, they would have competed in the world’s highest sports platform despite all the adversities they faced. Malaysian athletes are truly blessed and must take their cue from these refugee athletes. After all, despite being a sports-friendly nation with full support from the government, we are still chasing the elusive gold medal. Hopefully, the chase will end in Rio. There are a few who are very determined to make that happen, such as badminton ace Lee Chong Wei. We have other sports like diving, cycling and archery which have potential medal winners. But the contingent must make a concerted effort to keep the morale high throughout the Games and return from Rio with the best possible results. Once again praise for all the athletes who have trained hard and do not want to return from the Olympics empty-handed. At worst, they could set new national records. On that note, Selamat Hari Raya to all our Muslim athletes, coaches and officials. Olympics chef de mission, Tan Sri Mohamed Al Amin Abdul Majid, has shown full committment in ensuring a high standard for the Rio-bound team managers and coaches. The acting president of the Badminton Association of Malaysia is leaving no stone unturned in getting to know each team, watching the athletes in training and finding out for himself their preparations for the Olympics. On Wednesday, after meeting the sailing and diving team in the morning, Mohamed Al Amin attended a special briefing on safety, health, anti-doping and the dos and don’ts of the Games for the Malaysian contingent to the Olympics and Paralympics before chairing the 2nd team managers meeting for the XXXI Olympic Games in Bukit Jalil. In his opening address, the chef de mission made it very clear to the team officials that they were responsible for their athletes being in the best frame of mind, that they were well prepared for the challenge ahead and ensuring that everything aspect of the athletes' well-being was looked into. He said as much as Malaysia wanted to return with medals, no one could criticise those athletes who had tried their best at the Games. There were 13 Olympic-bound athletes, eight para athletes, nine coaches and 30 officials (including team managers) at the briefing. The presentation was very educational, especially on the Zika virus threat, yellow fever (doctors from the Ministry of Health), safety measures (Royal Malaysian Police Special Branch) and medical services provided by the National Sports Institute (NSI) medical team led by Dr Arshad Tuji. However, whether the points made at the presentation and briefing reach the ears of the athletes and officials who were not present because of training or competition schedules remains to be seen. The National Sports Council (NSC), NSI and Olympic Council of Malaysia have covered all key aspects of the upcoming trip to Rio in the hope of an incident-free Malaysian participation. But all that will come to naught if the team managers and coaches present at the seminar do not deliver the message to their athletes. OCM secretary-general Datuk Low Beng Choo also reminded the team managers that their roles were not ceremonial and that they were named for the Games because they had the capability to manage their athletes. Still, it is sad that archery still has unresolved issues with their leadership of the association and it is hoped that this will not affect the management of the athletes or their performance. Then, there are the concerns as to whether the contingent can bring food from home to Rio or eat at a Malaysian restaurant there. The Olympic Village has an international array of cuisine and halal food and if Malaysian athletes and officials are still concerned about having home-cooked food and instant noodles, it does not speak well of our sportsmen and women. The contingent have to go to Rio with a positive attitude, expect the best and be ready for whatever challenge that is thrown their way. Negative thoughts are only going to undermine their mental strength. It is hoped that the team officials going to Rio play their role of supporting the athletes well but please do not make excuses for them. To date, 26 athletes from ten disciplines – archery, cycling, diving, swimming, sailing, shooting, athletics, badminton, open-water swimming and weightlifting – have qualified for the Games. Six more are pending – two men and two women from golf, one wildcard from athletics (female) and one wildcard (women) from swimming – which would finalise the Malaysian squad at 32. It is a small contingent, so managing them without any untoward incident should be a breeze. Al Amin is working very hard to ensure that everything is in order before the contingent leaves for Rio and has implemented standard operation procedures for all. And with the NSC, NSI and OCM working equally hard to ensure that everything goes smoothly, the last thing that is needed is for the team officials to slip up. Team officials must be reminded that this trip to Rio is not a holiday or a reward. They will be there to serve the athletes and to ensure that all directives are strictly adhered to. They must also motivate and guide the athletes so that they deliver the best results possible. All athletes will return a day after the completion of their event to avoid any problems in managing them after the event and also for their own safety, both health and security wise. With everything in place and a slightly a month before the Games, it is hoped that nothing is done to derail whatever has been planned so meticulously by the relevant authorities. The Journey to Rio is all set for flag-off and it is hoped that every effort is made by both the officials and athletes to ensure nothing mars the last leg of their preparations.